Russian President Vladimir Putin holds hopes that the BRICS group of emerging economies will turn into “a full-scale strategic cooperation mechanism” and become more involved in global politics. 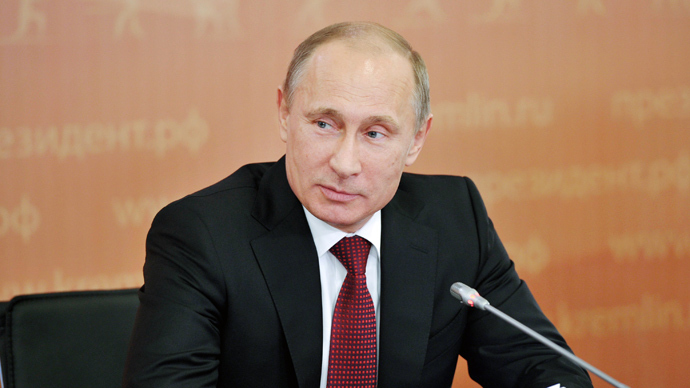 Putin gave an interview to the ITAR-TASS news agency ahead of the March 26-27 BRICS summit in Durban, South Africa. Apart from Russia, the bloc consists of Brazil, India, China and the host country. ITAR-TASS: BRICS' relatively new phenomenonattracts increased global attention due to the optimistic predictions about its development, especially against the backdrop of global crisis developments in the world economy. What is BRICS' immediate and long-term significance for Russia? Is such a format practical for the development of relations among these countries? 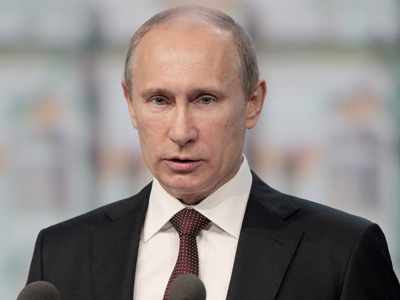 Vladimir Putin: There are a number of long-term factors working on BRICS' success. For the last two decades the economies of Brazil, Russia, India, China and South Africa have been in the lead of global economic growth. 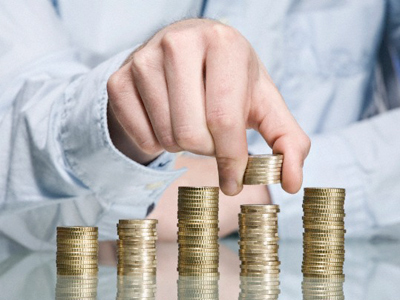 Thus, in 2012, the average GDP growth rate in the group amounted to 4 per cent, while for the G7 this index was estimated at 0.7 per cent. In addition, GDP of the BRICS countries derived from the national currency purchasing power parity is currently over 27 per cent of the global GDP and its share continues to increase. 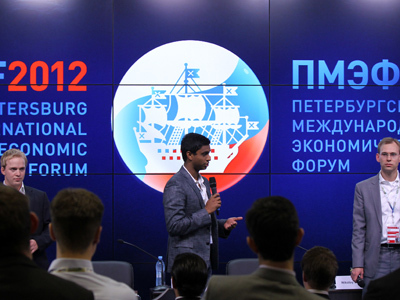 BRICS is a key element of the emerging multipolar world. The Group of Five has repeatedly affirmed its commitment to the fundamental principles of the international law and contributed to strengthening the United Nations central role. Our countries do not accept power politics or violation of other countries' sovereignty. We share approaches to the pressing international issues, including the Syrian crisis, the situation around Iran, and Middle East settlement. The BRICS’ credibility and influence in the world is translated into its growing contribution to the efforts to stimulate global development. This important matter will be specifically addressed at the BRICS Leaders – Africa Dialogue Forum to be held on the sidelines of the Durban summit. 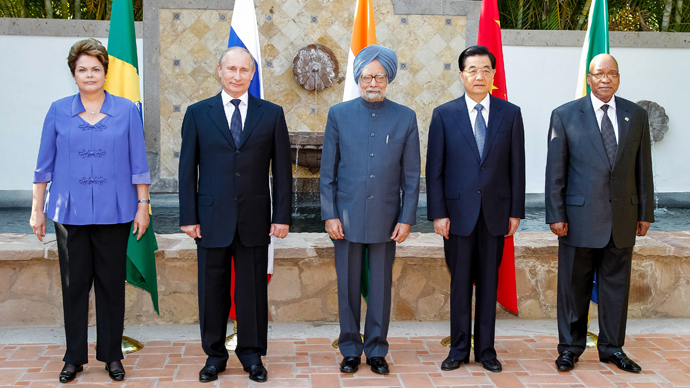 BRICS members advocate the creation of a more balanced and just system of global economic relations. The emerging markets are interested in long-term sustainable economic growth worldwide and reforms of the financial and economic architecture to make it more efficient. This is reflected in last year's joint decision to contribute $75 billion to the IMF lending program, thus increasing the participation of the fastest growing economies in the Fund's authorized capital. Russia, as the initiator of the BRICS format and chair at its first summit in Yekaterinburg in 2009, sees the work within this group among its foreign policy priorities. This year, I have approved the Concept of the Russian Federation's Participation in the BRICS group, which sets forth strategic goals we seek to achieve through interaction with our partners from Brazil, China, India and South Africa. Such cooperation in international affairs, trade, capital exchange and humanitarian sphere facilitates the creation of the most favourable environment for further growth of Russian economy, improvement of its investment climate, quality of life and well-being of our citizens. Our membership in this association helps foster privileged bilateral relations with the BRICS nations based on the principles of good neighbourliness and mutually beneficial cooperation. We believe it crucial to increase Russia's linguistic, cultural and information presence in the BRICS member nations, as well as expand educational exchanges and personal contact. ITAR-TASS:What are the group’s short-term objectives and how do you see strategic directions for BRICS' economic development? VP: BRICS identifies what is to be done based on action plans adopted at the group's annual summits. Last year's Delhi Action Plan outlined 17 areas of cooperation, including meetings of Foreign Ministers on the sidelines of the UN General Assembly session, joint meetings of Finance Ministers and Central Bank Governors on the sidelines of the G20, World Bank and International Monetary Fund meetings, as well as contacts between other agencies. We are currently negotiating a new plan we will discuss at the meeting in Durban. I am confident that it will help us develop a closer partnership. We expect that we will be able to closer coordinate our approaches to key issues on the agenda of the forthcoming G20 summit in St Petersburg, increase our cooperation in the fight against drug trafficking and production, and our efforts to counter terrorist, criminal and military threats in cyberspace. It is of great importance for Russia to increase its trade and investment cooperation with its BRICS partners and launch new multilateral business projects involving our nations’ business communities. In Durban we intend to announce the formal establishment of the BRICS Business Council designed to support that activity. The summit will be preceded by the BRICS Business Forum, which will bring together more than 900 business community representatives from our countries. ITAR-TASS:The potential of the BRICS economies brings up not only the question of economic policy coordination but also that of close geopolitical interaction. What is BRICS' geopolitical role and mission in today's world? Does it go beyond the purely economic agenda and should the BRICS countries accept greater responsibility for geopolitical processes? What is their policy with regard to the rest of the world, including its major actors such as the United States, the European Union, Japan… What future do you see for this association in this regard? VP: First and foremost, the BRICS countries seek to help the world economy achieve stable and self-sustaining growth and reform the international financial and economic architecture. Our major task is to find ways to accelerate global development, encourage flows of capital in real economy and increase employment. This is particularly important in the context of poor global economic growth rates and unacceptably high unemployment. Although this is mainly true of western countries, the BRICS states are also negatively affected; export markets are shrinking, global finance lacks stability, and our own economic growth is slowing down. At the same time, we invite our partners to gradually transform BRICS from a dialogue forum that coordinates approaches to a limited number of issues into a full-scale strategic cooperation mechanism that will allow us to look for solutions to key issues of global politics together. The BRICS countries traditionally voice similar approaches to the settlement of all international conflicts through political and diplomatic means. For the Durban summit, we are working on a joint declaration setting forth our fundamental approaches to pressing international issues, i.e. crisis in Syria, Afghanistan, Iran and the Middle East. We do not view BRICS as a geopolitical competitor to western countries or their organisations — on the contrary, we are open to discussion with any country or organisation that is willing to do so within the framework of the common multipolar world order. ITAR-TASS:Russia and China are important strategic and historic partners. How do you see the significance of such partnership not only for the development of the two countries, but also for the entire system of international relations and the world economy? VP: Russia and China are two influential members of the international community, they are permanent members of the UN Security Council, and they are among the world’s largest economies. That is why the strategic partnership between us is of great importance on both a bilateral and global scale. Today the Russian-Chinese relations are on the rise, they are the best in their centuries-long history. They are characterised by a high degree of mutual trust, respect for each other's interests, support in vital issues, they are a true partnership and are genuinely comprehensive. is currently on a state visit to Russia. The fact that the new Chinese leader makes his first foreign trip to our country confirms the special nature of strategic partnership between Russia and China. In the last five years only, the volume of bilateral trade has more than doubled. China has firmly taken the first place among our trading partners. In 2012 the Russian-Chinese trade turnover increased by 5.2 per cent to constitute $87.5 billion (in 2007 the figure was $40 billion). The commonality of our approaches to fundamental issues of world order and key international problems has become an important stabilising factor in world politics. Within the framework of the UN, the Group of Twenty, BRICS, the SCO, APEC and other multilateral formats, we are working together, helping to shape a new, more just world order, ensure peace and security, defend basic principles of international law. That is our common contribution to strengthening sustainable global development. Russia and China show an example of a balanced and pragmatic approach to solving the most critical issues, such as the situation in the Middle East and North Africa, nuclear problem on the Korean Peninsula, situation around Iran’s nuclear program. ITAR-TASS:Before the BRICS summit your schedule features a working visit to South Africa. What do you expect from the upcoming negotiations with South African party? Will this visit give impetus to the development of bilateral relations? VP: Russia and South Africa have old ties of friendship and mutual respect. Multifaceted cooperation is developing between our countries, with constructive political dialogue established at the highest level, between governments, ministries and agencies. Interparliamentary, interregional, business and humanitarian contacts are consistently expanding. During the visit to South Africa we certainly hope to give new impetus to our bilateral relations. The adoption of the Declaration on Strategic Partnership between Russia and South Africa is being prepared; it will confirm the new quality of our relations, determine key areas of joint work in the future. We plan to sign a number of important intergovernmental and interagency documents in Durban: the declaration on strategic partnership, the agreements on cooperation in the energy sector, agriculture, etc. Trade and economic cooperation will be in the focus of our attention during negotiations. Last year the volume of trade between Russia and South Africa grew by 66 per cent and reached $964 million (in 2011 the figure was $580 million). 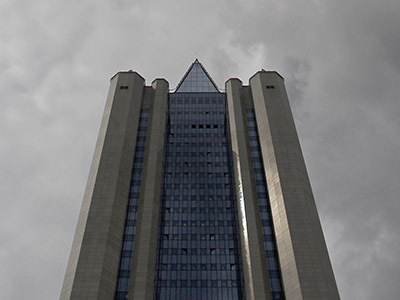 Big Russian businesses, including such companies as Renova, Norilsk Nickel, Evraz Group, Basic Element, Severstal, Renaissance Capital and Vnesheconombank are actively entering the South African market, they are interested in further expanding their presence in South Africa. Russia and South Africa can significantly, by many times, increase the volume of bilateral trade and investments, the number of mutually beneficial projects in the mining sector, power industry (including nuclear power), space exploration, military and technical sphere. We consider it important to develop cooperation in the field of education and culture by strengthening direct ties between universities, promoting Russian language teaching in South African educational institutions, organising film festivals and tours by leading artists, and exchanging museum exhibitions. We will discuss practical steps to achieve these goals with President Jacob Zuma. Are MIST countries becoming the new BRICS?